I gave in to my craving for Indian food. I know, I know... It's very unlike me. I thought of Indian food because the other night I watched Travel & Living and this guy went around Goa and other places tasting food. 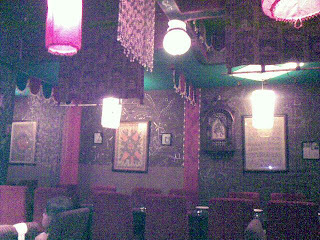 The food featured seemed wow and got me thinking I want to taste those Indian spices. So tonight we went to Passage Through India near Bangsar and Damansara Heights (not sure what is the name of the exact area) but it's not too far from our home. We were not disappointed with our order. We had butter naan paired with some kind of spinach dip with cottage cheese. Yummy ! Me and hubby liked it. 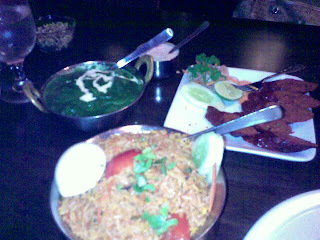 Then some chicken briyani (hope I spelled it right) and then some lamb kebab. Overall a good meal for a Friday night :) our total bill came to RM81 ... not too bad. While we were there the number of expat customers came flowing so I guess they are probably a well-established Indian restaurant. TGIF ! Btw, i forgot to mentioned in the earlier comment that my name is Nana and I'm Malaysian. I used to be an expat too. Lived in Manila for 2 years with my hubby who was assigned there. I love Manila. The food and the warm welcoming people. After we moved back here in KL, we tried to visit our friends in Manila once a year. Hello Nana! thanks for leaving a comment. Glad that you like Manila and yes the Filipinos are very friendly people. as for us, Malaysia is really a nice place. so far everything is great and we will be living in Malaysia for 3 years this coming Decemeber! Time flies! Hello, we are Americans living in Mexico City now and considering taking a job in Malasia. We have 4 kids and life is fun and busy. Is there anything you could tell me about our decision? 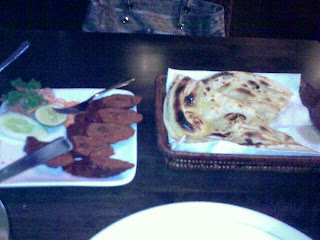 I will tell you my mouth was watering looking at your pictures of Indian Food. YUM! Do you feel safe there? Could you go out jogging alone / walking alone? I know nothing, so anything would help! Oh my... moving from Mexico to Malaysia is a long, long way. I have never been to Mexico. But what I can assure you is that life in Malaysia -- specifically KL will be great! Food is superb with gazillions of choices. Cars are affordable. Service is affordable and you can get a live-in household helper who will help manage you kids & chores! I feel very safe here, especially as I chose the right condo to stay in. I suggest that you should include "safety" as one of your top requirement when you look for property --whether to rent or to buy. There are several public parks which we love, and i feel so safe to jog alone. you will also see many mommies with their kids walking/playing at the park. My condo also has a nice area for kids to play, 2 swimming pools (lap pool for adults and kids wade pool), badminton & tennis courts. You may want to look for something similar. I have something to ask you which I'm as Malaysian should know but i think expat knows better. The thing is i'm looking for a childbirth class in KL. Do you know any? Our June Trip To Phuket... Paradise!